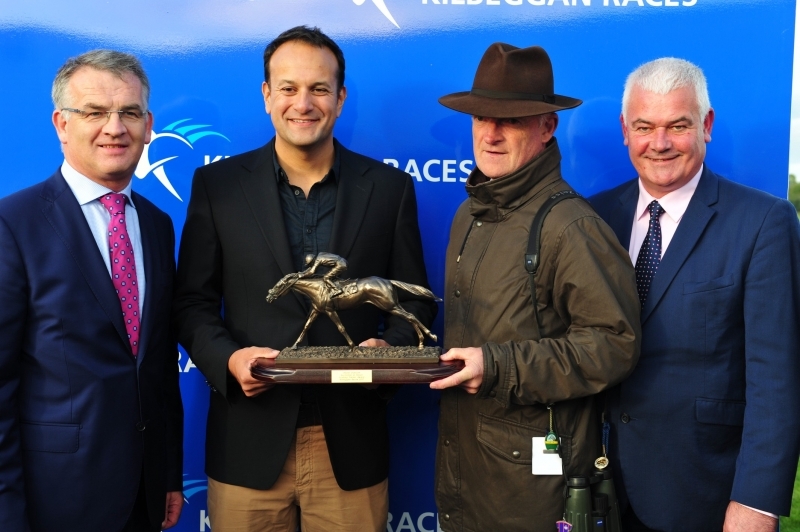 KILBEGGAN Races celebrated the completion of another successful season by having An Taoiseach Leo Varadkar as a special guest. 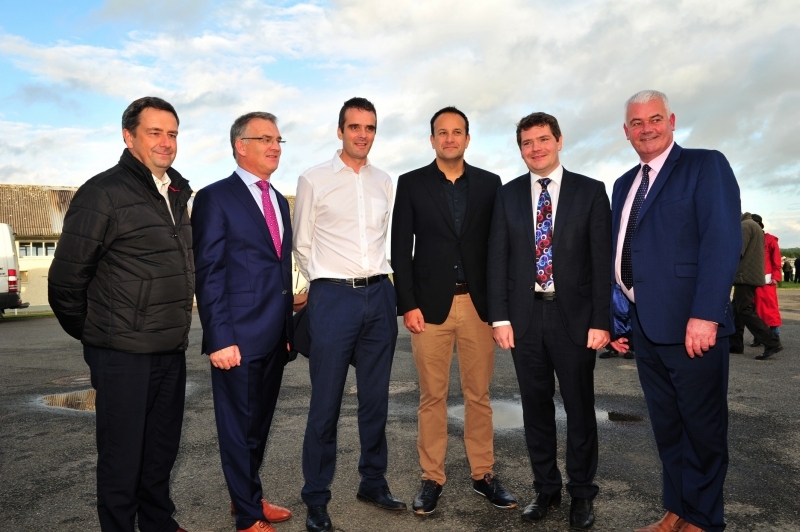 Mr Varadkar met Kilbeggan Race Committee chairman Senator Paul Daly and was welcomed by Kilbeggan Races manager Paddy Dunican before touring the facilities and placing a number of charity bets. 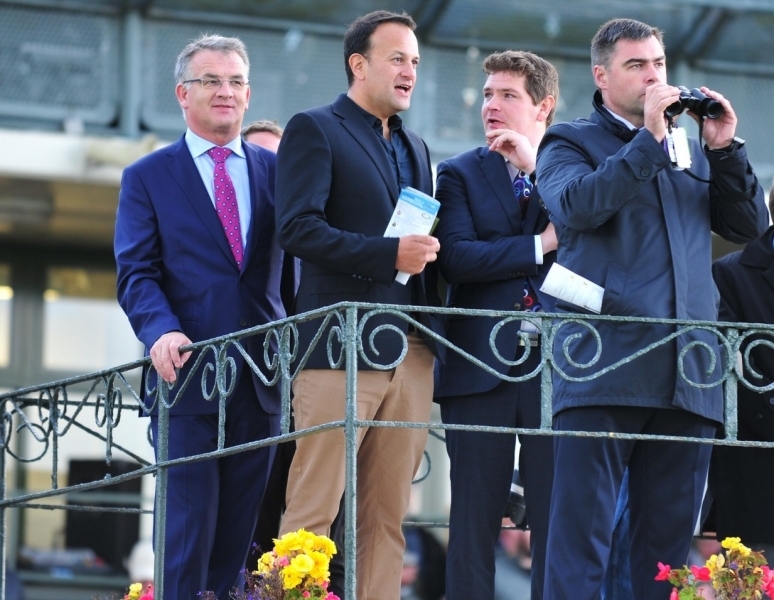 Addressing business people gathered in the hospitality room, Mr Varadkar revealed that he was a racing man. "I'm very much aware of the enormous value of the small rural racecourses that exist around the country, not just in terms of the economic value, in terms of revenue and job creation, but also the important amenity they are for people, Long may they prosper and long may they continue." An Taoiseach had come from Ballymahon earlier where he turned the sod on the Centre Parcs development. He said the evidence of the recovery could be seen in every county and in all parts of Ireland. "But there are parts of Ireland where the economy hasn't grown as fast as other parts and I think areas such as the Midlands now need to accelerate and catch up and it's part of my job in Government to make sure that happens," Mr Varadkar continued. Races manager Paddy Dunican said the beginning of the work on the €223 million Centre Parcs project was a great day for the Midlands and he was also delighted to report that 2017 had been a great year for Kilbeggan Races. "We've had an increase in attendance and sponsorship," said Mr Dunican, emphasising the crucial role media rights were playing. "Irish racing is broadcast live in 14 million UK and Irish homes and it's also broadcast live into 10,000 betting shops," he said. "It's also broadcast to various countries such as US, Germany, Holland, Spain, Asia, parts of Canada, Australia, the Carribean, Sri Lanka and Turkey." The second key element in driving the success of Kilbeggan is support from the business community, from SME's to the multinationals. "Over the last three years our biggest growth in attendance has come from local companies bringing all their staff to days and evenings out," he said. "Our summer race meetings are vibrant social occasions and very exciting events, It's also a great place to meet friends and make new friends and it's also a great place for customers to come and entertain the staff and sponsor races." Dominic Doheny, Midlands Gateway Chamber and president of the Construction Industry Federation, welcomed the Taoiseach on behalf of the business community. Mr Doheny said Kilbeggan's success would not have been possible without the work of the voluntary committee, who were preserving a local racing legacy stretching back to 1840. "You just have to take a look around at the investment that has taken place and the sense of pride the people of Kilbeggan hold it in, along with the people of the Midlands," said Mr Doheny.